My husband and I live in rural Devon with our pet dogs and chickens. We moved here in 2013 as an 'escape to the country'. We love the beautiful English countryside, the seclusion and the friendly locals. After holidaying in Devon for many years, this was our favourite area and where we chose to settle. 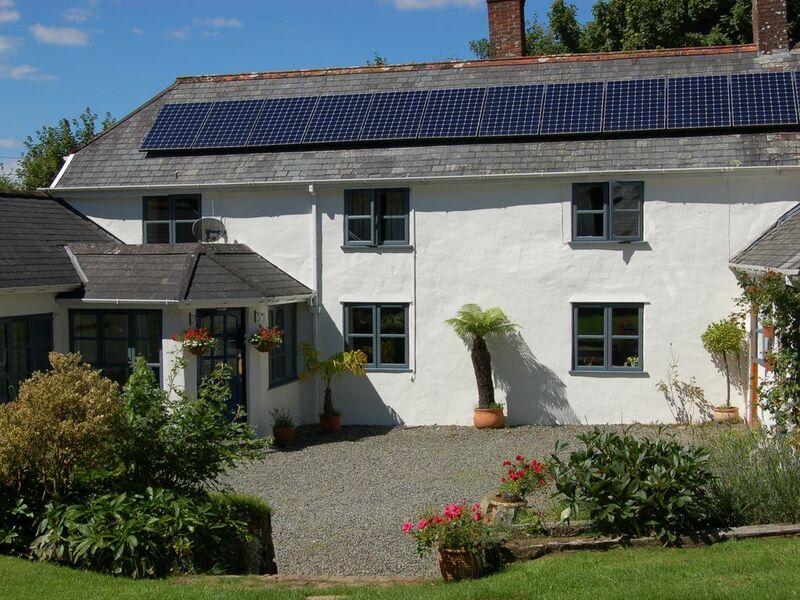 Our cottage has character and charm and is set in the picturesque Devon countryside. It is peaceful and quiet with views from the land across open countryside. It is set in five acres of pasture and woodland. Dartmoor and Exmoor are easily accessible as are the North Devon beaches of Instow, Braunton, Saunton Sands, Ilfracombe and Woolacombe. Cyclists and walkers can also enjoy the nearby Tarka Trail which runs along a disused railway line. Great Torrington is the nearest town (about 15 minute drive) which has supermarkets, pubs and restaurants. The larger towns of Bideford and Barnstaple are about 30 minutes drive away. The RHS gardens at Rosemoor are closeby. The New Inn at Roborough is the nearest pub (2 miles) and serves excellent food and local beers. Best location and cottage ever! Just amazing! Simply amazing, beautiful setting, peace and quiet all weekend and Lynda and David are very welcoming and friendly! We had a lovely stay at No Place. The cottage was perfect for a winter break. It was cosy and warm with a lovely wood burner and the kids loved exploring the garden and woodland. The beds were comfy and we had a cream tea waiting for us when we arrived. Thanks for a great few days. Thank you for your review. We hope to see you all again. Thank you for your review. Hope to see you all again next year. It was great to see your boys having such fun. The cottage was clean, warm and spacious with everything we needed. The beds were big and comfy. No creaks or lumps. There were even spades and a body board for the beach. My children loved building a bonfire and cooking marshmallows in the woodland that is part of the property. There is the most beautiful meadow attached with a bench at the top, perfect for watching the autumn sun shine through the trees. Our dog was made very welcome. The owners are helpful but not at all intrusive. I wish we could have stayed longer. Thank you for your kind review. Hope to see you all again soon. Thank you for your review. We are so glad that you all had a good time. You are all most welcome anytime. From the moment we arrived, the holiday was truly relaxing. Lynda was warm and welcoming, she told us everything we needed to know about this delightful cottage and had prepared a delicious cream tea. The cottage was equipped with everything we needed and was warm, spacious and comfortable. It is in an idyllic, peaceful location but equally it is easy to reach many local towns, beaches etc. We fully intend to return for another holiday and would not hesitate to recommend this lovely cottage. Thank you for taking the time to write a review and thank you for your kind words. We look forward to seeing you again soon.